Hormone pellets are about the size of a grain of rice and are inserted under the skin in the buttock area and gradually release hormones. Lidocaine is used to numb the skin and after that one should not feel any pain. Only a small cut is made in the skin and no stitch is needed. Can one resume normal activities after pellet placement? We recommend no swimming or tub baths for a week after having pellets placed. For two days it is recommended not to do any vigorous activities such as horse riding or long distance running that might open up the wound. Hormone pellets have been used in this country since 1938 and are a popular form of hormone delivery in Europe and Australia. There is a new FDA approved testosterone pellet called Testopel but the generic compounded versions have been available for a long time. What is the advantages of hormone pellets? Hormone pellets gradually release hormones so it provides a steady supply of hormones over four months. Pellets eliminate the need of having to take pills daily or rubbing on creams. Oral pills are chewed up by the stomach acid and liver so do not stay in the form we give them. Oral hormones are broken down by the liver into little pieces that are like clotting factors and that is why there is believed to be an increased risk of blood clots, strokes and blood clots with oral hormones. There are studies showing that oral hormones have a higher risk of these compared to other forms of delivery. With estrogen and progesterone some women get breast tenderness and can get spotting. However this generally resolves with time and the dose can be adjusted so this does not happen. Can hormone pellets be used with a history of breast cancer? There are studies showing that testosterone given with arimidex that blocks the conversion of testosterone to estrogen is safe in breast cancer and helps with the symptoms of menopause. Can progesterone be put in pellets? Only a few pharamacies make progesterone pellets as heat sterilization cannot be used with progesterone. 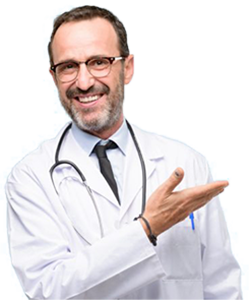 Unfortunately, most physicians are not aware of how to use progesterone pellets but we have found pharmacies that manufacture these pellets and we are one of the only practices that can use estrogen, testosterone and also progesterone pellets.